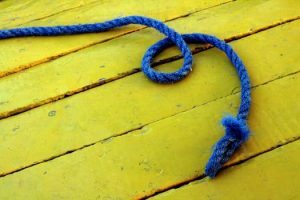 A month ago, with a handful of advance copies, we asked a few people – people who have direct first-hand experience of Karl Martin’s leadership, i.e those who know his weaknesses, who will spot an inaccuracy a mile off, who will see an exaggerated story as an opportunity for merciless ribbing – we asked them to give us an honest opinion on Karl’s new book. We’re posting their thoughts in full here, one at a time. And do send us your own review, if you would like to. We are loving the feedback. Today’s review of Lead comes from Angus, who is a member of the church at Central, Edinburgh. 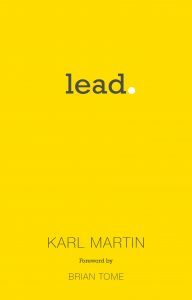 Having found Karl’s previous book, Stand, an inspiring read, I was looking forward to his new book, Lead. From the forward and introductory chapters, I realised this was a different book and written with a different reader in mind. It is predominantly written for the aspiring church leader or leader of people within a church oriented group (such as missional community or newly planted church). Having said that I was able to take a great deal of the information on a personal level. I was impressed with Karl’s honesty about his own difficulties within the leadership role and how he has had to endure confrontation from those he felt close to. Also the internal battle he faces each week before preaching when he feels the enemy challenging his authority and message. I like the way Karl tells the reader that each week he refuses to give in and that the enemy loses that particular battle. Some very important points he makes are of the strength he receives from the certainty of the call of God to lead, the fellowship of those around him and most importantly that the battle has been won on the cross by Jesus. This battle has been won for us all as potential leaders, or individuals. We are told that peace is not the absence of conflict but the precedes of God in the conflict. I like Karl’s style of writing. It is a bit like hearing him preach. I can feel his humanity and see his love for Jesus, as well as learn a bit more on how he sees the potential effect we have on those we meet daily. And finally, the importance of having time off. Too much work can be devastating. Holidays and times of solitude are essential for a healthy mind. It was nice to see Flash the spaniel given a mention too, as dog walking can be a time for reflection. Man, God and dog on a hillside. Lead can be purchased by clicking here.